A cool home during the summer is a happy home. Maintain the happiness of your household with help from Hill County A/C Solutions, LLC of Dripping Springs, Texas. We offer HVAC installation and repair services at competitive rates. 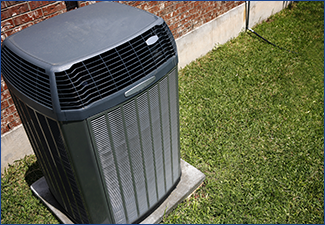 Once you have purchased your new system from Hill County A/C Solutions, let our technicians install it for you. Generally, we install Rheem™ and Ruud™, but our skilled technicians can install virtually every system. New system installations typically take two days to complete. When Do You Need a New System? When faced with expensive repairs, it may be time to purchase a new system. If the repairs close in on or exceed 50% of the cost of a new system, we recommend that you purchase a new one. A new system can last up to 15 years, which will prove to be a good return on your investment. We offer biannual maintenance contracts to all residential and commercial clients. For this service, a technician will come to your property and perform a complete system check and clean, as well as repair anything that is malfunctioning. A tech will come once during the spring to look at the A/C unit and once during the fall to check out the furnace or heat pump. Contact us to schedule an HVAC installation or repair visit today.